Assessing a building’s construction type may become a pressing need at times. You need to be armed with information to form a judgment. The construction elements in a building include structural frames, load bearing walls, non-bearing walls, floor and roof construction (beams and joists). The type of building material (wood, steel, masonry) that has been used in the construction of these elements and their fire resistance rating would determine the building construction types. Fire resistance rating is the weakest link in the building that will determine the construction type. A masonry building that has a wooden roof (no fire resistance) would be classified as joisted masonry. 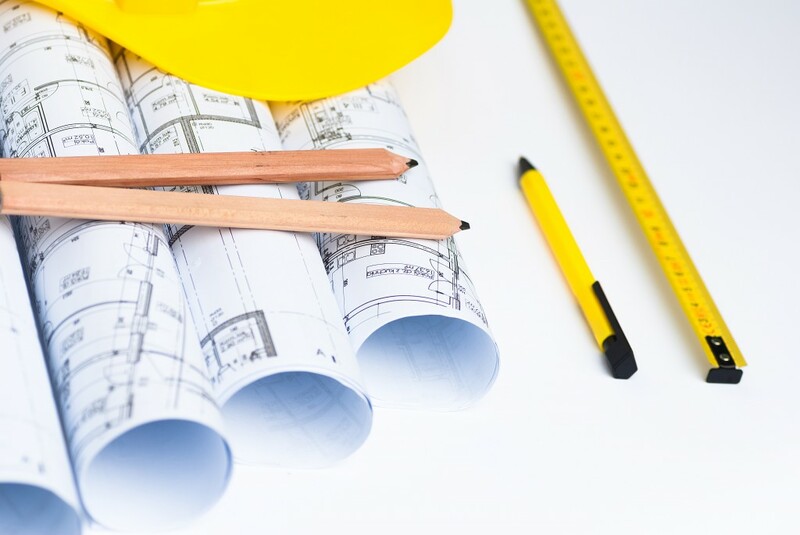 The International Building Code (IBC) and Insurance Service Office (ISO) offer two different ways to classify the construction class. The IBC is used by architects and builders while the ISO is used by insurance companies to assess the construction type. It is possible to covert an IBC classification to ISO, and vice versa. Ascertaining ISO/IBC Class requires knowledge of the composition of the construction elements discussed above. In the context of IBC, ‘A’ rating implies comprehensive fire protection for building’s structural members through spray on, sheetrock or other ratified methods. This leads to extension of fire resistance by minimum one hour. Rating ‘B’ implies that structural members are not coated/ covered with additional fire resistance abilities, apart from their innate properties to withstand fire. ISO provides for insurance coverage, data, risk management and other regulatory requirements for indemnifying the property owners. Frame construction is classified as ISO Class I for buildings which have roofs, floors and exterior walls made of combustible or slow burning material like wood. Other variations that fall under this class are masonry veneer and metal clad. In the first case, aesthetical support is lent by stone, brick or stucco layer; whereas in second case, wood joists and studs have metal skin connected to them. Other frame structures are metal floors/walls covered with combustible substances, insulation or ceiling material connected underside in the range of 18 inches of horizontal beams. Such members allow fire to spread swiftly. Joisted masonry falls under IBC Type III and IV, ISO Class 2. Such buildings have external masonry walls (made of bricks, concrete of both types, stones, tiles, hollow concrete masonry) having a rating for withstanding fire up to one hour. Variations include heavy timber buildings where wood that is significantly larger than frame construction is used. Constructions with steel columns/ beams have to be fire-resistive-rated for at least one hour. Such buildings should have masonry walls, floors of wood plank (three inches) or laminated plank ( four inches) having one inch surfacing, roofs of wood plank (two inches) or laminated plank ( three inches) with 2 inches plywood decking, girders ( 6X6 inches), and wood column supports of minimum 8X8 inches. Light non-combustible construction comes under IBC Type IIB and ISO Class 3. Such buildings have external walls made of non-combustible light metal and roofs/ floors share this property. The building is supported by non-combustible products and has non-ignitable roof decks irrespective of the insulation type of roof surface. Masonry Non-combustible buildings are classified under IBC Type IIA and ISO Class 4. Such constructions have masonry external walls and floors/ roofs that are made of non-combustible materials. The walls should be minimum 4 inches thick, and fire resistance rating should be of minimum one hour. Modified Fire Resistive buildings fall under IBC Type IB and ISO Class 5. The external bearing walls should be made of non-combustible substances whereas the nonbearing walls can be of combustible, slow burning or zero fire-resistive. The wall should be of minimum 4 inches thickness and the fire resistance should be rated in the range of 1-2 hours. Variations to structural steel-protected buildings include buildings with construction materials consisting of concrete, plaster, gypsum blocks, mineral wool, mastic coatings, brick, fiber board, and clay tile. Buildings with ceilings of gypsum, plaster or suspended mineral tile are also factored in. Fire resistive construction falls under IBC Type IA or ISO Class 6. The external bearing walls should be made from masonry/ non-combustible material, while the non-bearing walls can be combustible, slow burning or without fire-resistive properties. Walls need to be of solid masonry (reinforced concrete with 4-inches thick wall included), or hollow masonry (12-inches thick wall), or hollow masonry (thickness in the range of 8-12 inches rated with minimum fire resistance duration of 2 hours), and assemblies with fire rating of two hours. The floors and roofs need to be of reinforced concrete of minimum 4-inche thickness and fire resistance rating of two hours. You can get in touch with Urban Trends Construction, Australia to learn about your building construction types in depth. How To Select The Best Quality Belt Conveyor System?